Providing a convenient method of entering without raising the shutter. Covering Kent, London, Sussex and Surrey, Lotinga provides professional advice as to whether wicket gates are the best option for your openings. 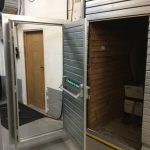 If there is no other access into the building, a wicket door provides a more convenient method of entering without having to raise the shutter each time. 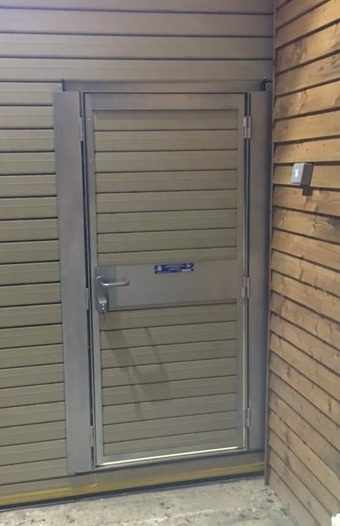 When installed within a Roller Shutter Door, the wicket does not roll up; you must push the gate back in order for the shutter to operate. 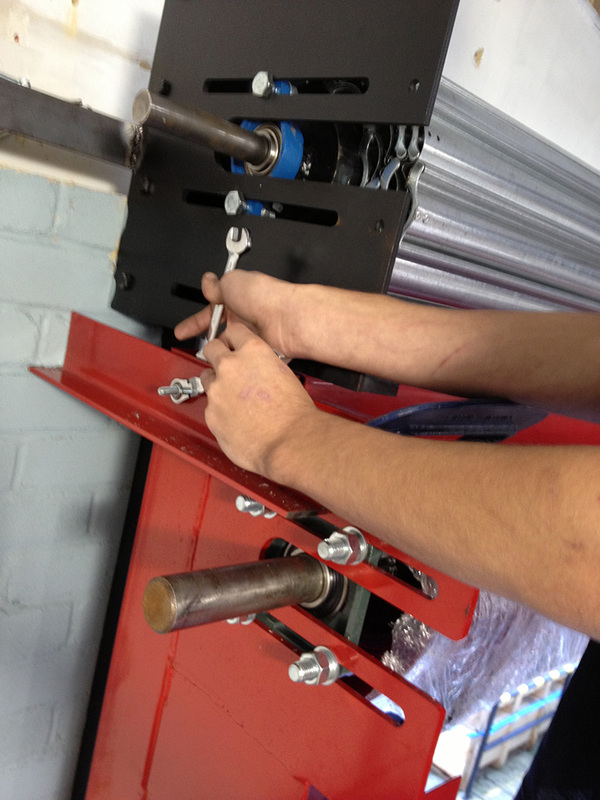 Release the top and bottom internal levers to release the securing flap. 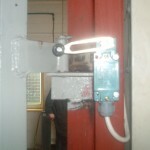 Pull door and frame back towards the wall. You are left with a hole in the curtain and the shutter can then be raised. 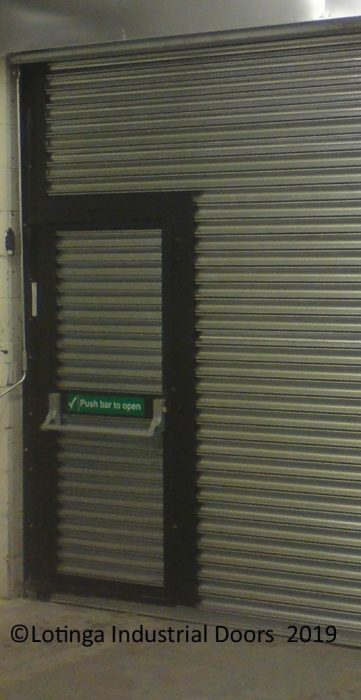 To avoid damage to the shutter, DO NOT attempted to raise it whilst the wicket gate is in place. 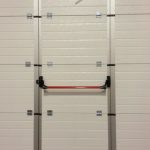 Unlike a roller shutter; wicket gates within Sectional Overhead Doors are designed to raise together; but, you must ensure the gate is securely closed before attempting operation. 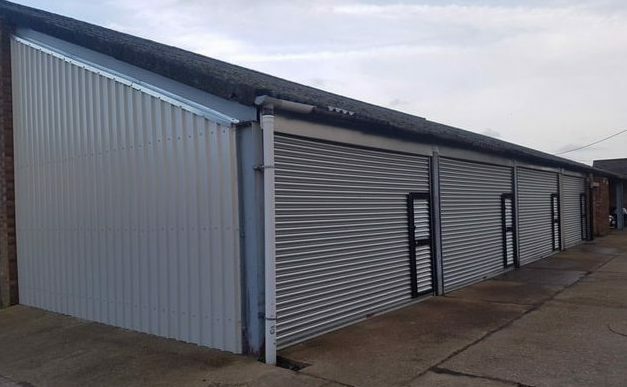 Electrically operated roller shutters and sectional overhead doors which have integral doors must have this additional safety feature. It prevents the door from being raised if the gate is not fully opened or positioned correctly; so as to avoid any damage to the shutter. 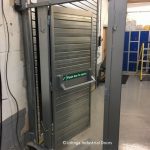 If your opening is an emergency exit, these integral pass doors can also be installed with a panic bar. Unsure of the finish you would like? Please refer to our Accessories Page for Finish Options. 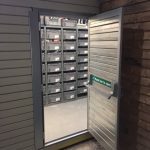 To aid our customers in keeping their doors running safely and smoothly; we offer a Service Agreement Facility. This entitles the holder to discounts off Servicing, and, also Scheduled Repairs. 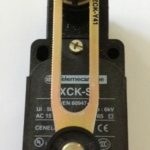 Click on our Service and Save page to learn more; alternatively, use our contact form to get a quotation instead. Click on to see a Project featuring Wicket Gates.